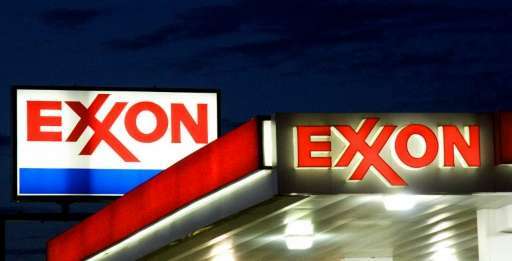 Oil giant ExxonMobil, long criticized over its stance on climate change and production of fossil fuels, has appointed a leading climate scientist to its board of directors. Susan Avery, an atmospheric physicist and former president of the famed Woods Hole Oceanographic Institution, will join the board of the petroleum giant on February 1, the company announced late Wednesday. Avery's research priorities have included climate variability, and she has said that "Clearly climate science is telling us (to) get off fossil fuels as much as possible." She has a "keen interest in scientific literacy and the role of science in public policy," according to the website for Woods Hole, which is based in the northeastern state of Massachusetts. ExxonMobil remains a primary target of environmentalists for its contribution to fossil fuel consumption. It was the subject of 2015 investigative reports by environmental news nonprofit Inside Climate News and others, charging it "manufactured doubt" about climate science even while contradicted by research by its own climate scientists. ExxonMobil has dismissed the reports as biased, but faces government investigations over the controversy. Earlier this month, a Massachusetts court ruled the oil giant must turn over 40 years of documents on climate change, in a win for Massachusetts Attorney General Maura Healey, who has described the probe as a fraud investigation. ExxonMobil has countersued against Healey, arguing she lacks jurisdiction in the matter. Environmentalists were not overly impressed with Avery's appointment. Shanna Cleveland of Ceres, a nonprofit that works on shareholder actions designed to pressure companies to address climate change, called the move a "really good first step, but not much more than that." Cleveland said there was a risk Avery could be a "lone vote in the wilderness" on climate change given ExxonMobil's record on the issue. The goal now is "leveling up the entire board with the information they need to assess climate risk." Cleveland has been among the activists who have trekked to ExxonMobil's headquarters near Dallas for investor votes each year. Environmentalists last year lost several key votes on climate change, but did prevail on one resolution that would have allowed shareholders to nominate their own candidates to the board. Climate advocacy group 350.org dismissed the appointment as "little more than a PR stunt." "We wouldn't have given Philip Morris a pass for putting a doctor on their board and we aren't going to let Exxon off the hook either," 350.org said in a statement. "Exxon lied, people died, and they must be held accountable." The appointment of a climate scientist to the oil company's board comes as environmentalists gird for combat with the Trump administration, whose pick to head the Environmental Protection Agency, Scott Pruitt, is a climate skeptic. A group of scientists this week announced plans for a "Scientists' March on Washington," although no date has been set. "There are certain things that we accept as facts with no alternatives. The Earth is becoming warmer due to human action," the group said on its website. "Politicians who devalue expertise risk making decisions that do not reflect reality and must be held accountable. Politicians who devalue expertise risk making decisions that do not reflect reality and must be held accountable."